This residence is offered to City, University of London first year undergraduate students by iQ Student Accommodation, a third party housing provider. Students who are offered accommodation at Tufnell House will sign an agreement with iQ Student Accommodation and not with City, University of London, and will therefore be bound by iQ Student Accommodation's Terms & Conditions of residence. Please note that this residence is not available via the reduced nomination price for the academic year 2017/18. If you do wish to stay here in 2017/18, you can still book directly with the Hall of Residence, but City will not be allocating students here. Due to City joining with the University of London, we are currently in negotiations for alternative housing which is located closer to our University. 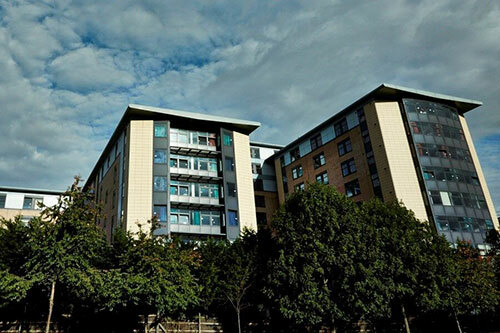 Tufnell House offers en-suite rooms with 3/4 quarter bed, shared kitchen between 4-6 residents and a variety of common areas. All single en-suite rooms are fully fitted to a high standard and include an en-suite shower, toilet and washbasin plus separate telephone and data points for high-speed Internet access. Bedroom furniture includes Desk, Double Wardrobe, Study chair, bedside table and bookshelf. Kitchen furnishings include dining table and chairs, sofa, flat screen TV, electric ovens and four-ring hob/extractor fan, fridge freezer and microwave. City, University of London recognises that the cost of living and studying in London can be high. In order to make studying at City affordable and accessible to all our undergraduate students, City has introduced an accommodation subsidy to reduce the cost of its undergraduate halls of residence. The subsidised prices listed above will be available from September 2016. *Please be aware that the prices we offer are artificially low due to the subsidy, rents on the private market are likely to be £50 to £75 higher per week. For more information on private housing please refer to the University of London’s Housing Guide. Between Kentish Town and Tufnell Park there is a wealth of amenities including local shops, independent restaurants and cafes, banks and post offices. With nearby Camden Town for nights out, to Holloway road for Cinema trips and supermarket store shopping, Tufnell House is ideally located in the leafy surroundings of Tufnell Park. *Please note Tufnell Park Tube Station is in Zone 2 and is just 5 stops up from Angel Station on the Northern Line. It takes around 25 minutes to travel from Tufnell House to City University, Northampton Square. The 4 instalment dates are 10th September 2016, 3rd October 2016, 9th January 2017 and 17th April 2017. Yes, international students can pay in instalments, too. No, your guarantor can have an overseas address. You can pay online using student portal, over the phone and ‘Pay to Study’. Provided you have not collected the keys from us, you may cancel your Tenancy Agreement within 14 calendar days of our email confirmation to you that your documentation and Deposit have been safely received; this is the point at which we have concluded our contract with you (the “Cooling Off Period”). If you cancel within the Cooling Off Period, we will make no charge and will return any fees and your Deposit to you without deduction. We will not however refund any fees incurred by you in processing a credit card payment. If you have collected your keys subsequent to accepting our terms and conditions this cooling off period will not apply and you will be bound by the terms of the contract.